Despina Achladioti, otherwise known as the “Lady of Ro” is the woman who single-handedly raised the Greek flag every morning on the remote island of Ro, off Kastellorizo. The woman, who fled her hometown in Kastellorizo during WWI watched as her home was being invaded by the Italians and bombarded by the Germans and while her compatriots and family perished or fled. While others were evacuated by the British and sent to Egypt and Palestine, she arrived on the then deserted island of Ro and set up her new home. It was during the Cyprus invasion in the 70s that her legendary journey and determination to keep the furthest Greek island Greek, became widely known and she was regarded as a hero. 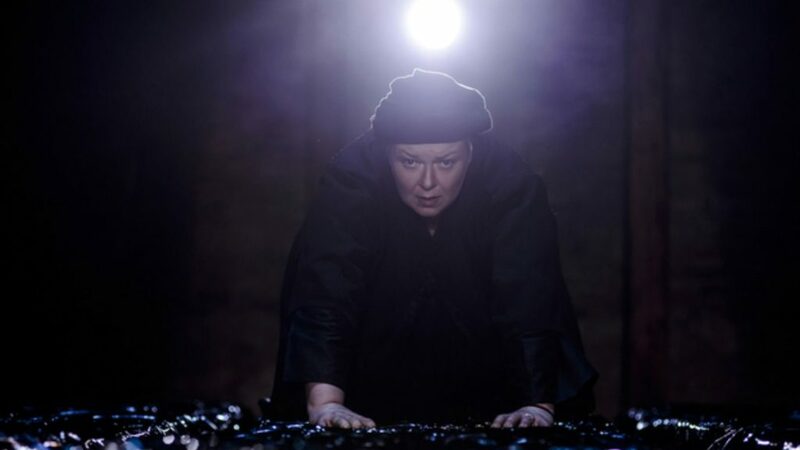 Despina’s story has been turned into a unique theatrical performance featuring acclaimed actress Fotini Baxevani. The play was written by Giannis Skaragas, directed by Katerina Bertheka and produced by Lykofos company. The performance has garnered rave reviews in Greece and is now coming to Australia with Perth being the first stop with the support of the Consulate of Greece in Perth and the Castellorizian Association of Western Australia Inc. 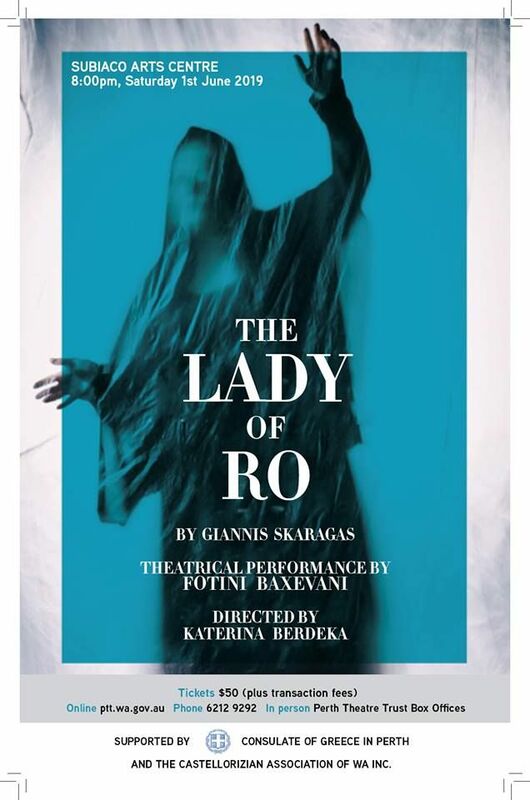 The Lady of Ro will be staged at the Subiaco Arts Centre on 1 June at 8.00pm and it will have English surtitles to immerse Greek and English speaking audiences into the stirring life of one woman that became the symbol of a nation and its survival. “The Lady of Ro captures the essence of life that, in its very unfolding, seems to be slipping away before our grasp. It is about what happens to the dreams we hold close during war time, the ties that bind daughters and mothers, husbands and wives, folk legends and madwomen to one another and to the places they call home.